Perhaps the most exciting dental restoration available today is the dental implants. 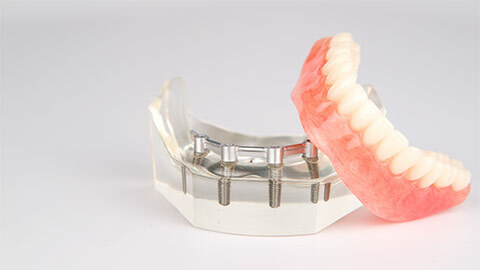 For patients missing teeth, dental implants are your ticket back to natural-looking and feeling teeth. A dental implant consists of a replacement tooth attached to a titanium screw, which is imbedded into the jawbone. The process takes time and more than one procedure, but the results are well worth the effort! The titanium screw is implanted into the jaw first, and then your gums and bone are given some time to heal. The interior of the false tooth contains a titanium rod which, when placed in the mouth, permanently attaches to the imbedded screw. The result? A tooth that looks and feels like the real thing! You even brush and floss the tooth the same as a real one. Dental implants are a fantastic option for patients who have one, several, or a full mouth of missing teeth. Williamsburg Smiles is proud to offer implant dentistry, a ground-breaking advance in dental technology. 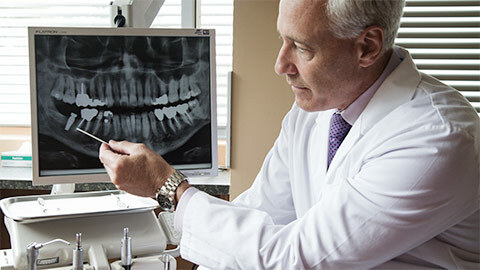 If you have missing teeth, ask Dr. Contract about dental implants! She can assess your mouth to see if you’re a good candidate, and give you all the details you need to help make your decision. Call Willamsburg Smiles today to start on the path back to comfortable, functional, and attractive replacement teeth - state-of-the-art dental implants!